Feedback about a DevOps environment on the back end is as important to its success as automated tools are on the front end. It’s also essential that cooperation and collaboration be established between app developers and IT ops, especially when it comes to implementing automation to improve upon legacy infrastructures. 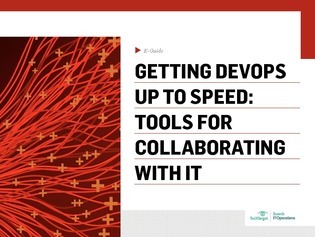 In this expert e-guide, we explore how to make the communication path between DevOps and IT a two-way street. Inside, discover how tools like container management, ChatOps, and more can bridge the gap.